Oh no! 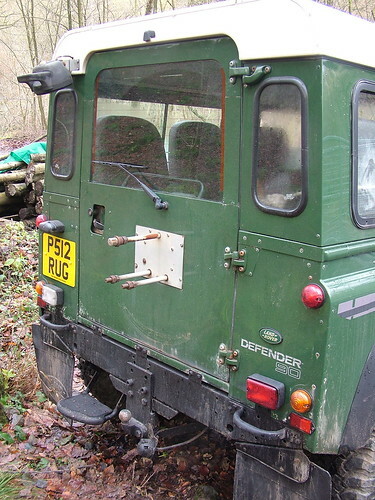 not the spare wheel now! It takes up quite a bit of room in the back, but I can use it as a shelf with the help of some ply. I’ve also started replacing with proper rope the naff rotting tapes that are supposed to hold the seat swabs folded up. Found out why the courtesy light switches don’t work too – part of the circuit has rotted away. Easily fixed though as it’s within the light unit. 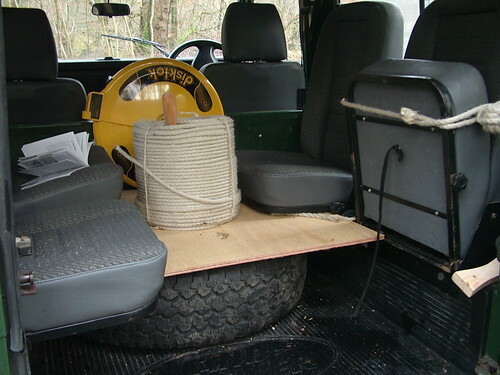 What with the pre-snow sleet and NE wind, spent a bit of time in the back of the Landy making rope stuff. I spliced a logging loop to hold logs onto the Lift and Shift, then moved half a dozen beefy beech logs out of the wood into the wood pile. That was the second warming from them after felling last winter. 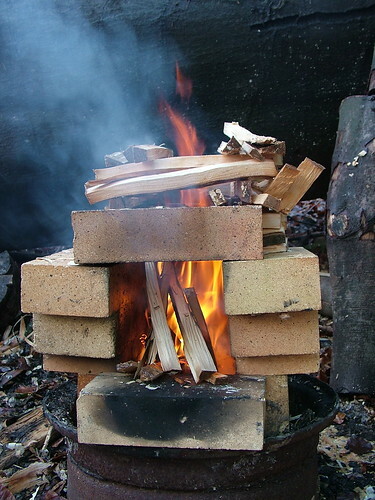 I wanted to do a bit more on the small ladle I’m making from some of the silver birch from home, and as it was really rather chilly I set up an impromptu stove from some fire bricks that may one day become a forge. 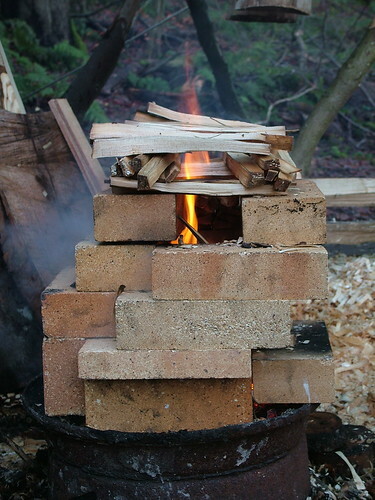 It worked rather well, once I’d salvaged some foreign language instructions from the Landy handbook as fire starter. It is stable and draws air from below. I’ve made a wooden door that’ll need soaking before each use. There’s about a metre of flue liner at home that will now come in useful as a chimney/hand-warmer. All it needs now is Mr D’s patent blower to help get it started. 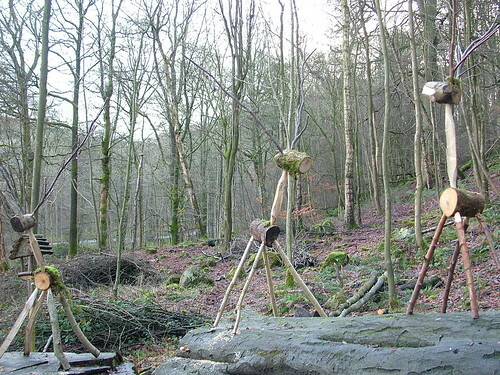 This entry was posted in Appropriate technology, Green woodwork and tagged land rover, stove, wooden deer by Flying Shavings. Bookmark the permalink.